Voters passed an initiative on Tuesday’s ballot that renewed voting rights to the majority of felons who have completed their sentences, including probation and restitution, according to an ABC News projection. Those who committed sexual offenses or murder are excluded from having their ability to vote restored. Of those large numbers, African-Americans largely benefit from the measure due to the fact they numerically make up the most convicted felons in the country. In 2016, 21 percent of African-Americans were disenfranchised, according to The Sentencing Project. Florida Governor Rick Scott speaks during his election night party at the LaPlaya Beach & Golf Resort on Nov. 06, 2018 in Naples, Fla. The Florida constitution, with Jim Crow–era roots, barred people from voting even after having completed their sentences. Florida’s Republican Gov. 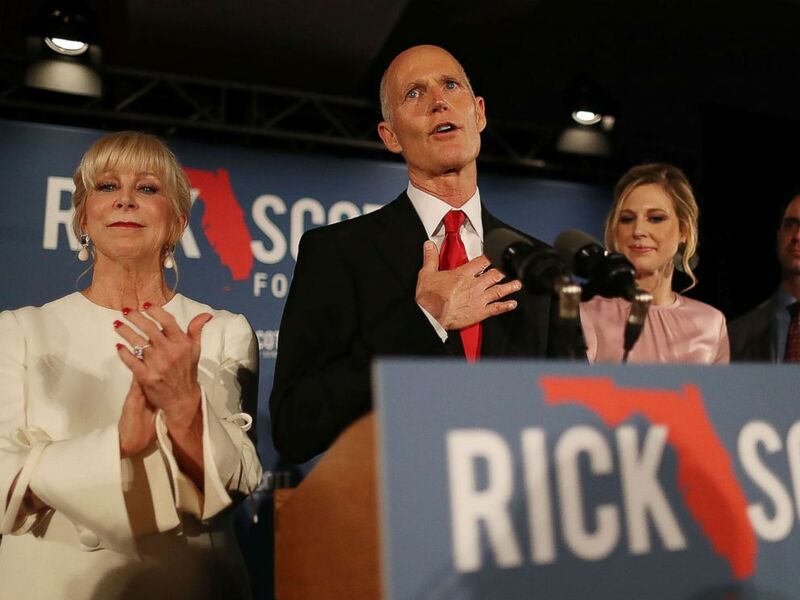 Rick Scott, who opposed the measure, axed a system allowing the restoration of voting rights without formal hearings to felons after being elected in 2011. Scott then implemented a law which required convicted felons to appeal their voting status to him through a clemency board and imposed a five-year waiting period for felons to even apply for clemency. According to NPR, Scott granted voting rights to just over 3,000 people. The American Civil Liberties Union (ACLU) estimates 1.4 million convicted felons will now have the ability to vote in Florida. In March, U.S. District Judge Mark Walker issued an injunction for Scott to initiate a new clemency system to restore felons’ voter rights by April. He ruled Florida’s system that requires felons wait five years to petition the governor and three elected Cabinet members for the right to vote was “fatally flawed.” But, Walker’s ruling was blocked by a federal appeals court. 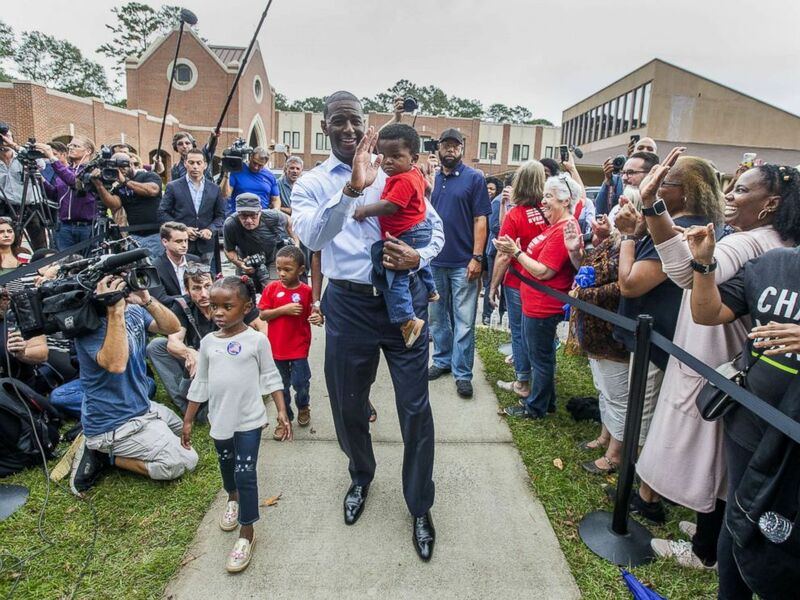 Tallahassee mayor and Florida Democratic gubernatorial candidate Andrew Gillum waves at supporters after casting his ballot with his children on Nov. 6, 2018 in Tallahassee, Fla. The newly approved measure made Florida’s ballot after the Florida Rights Restoration Coalition, a grassroots membership organization led and ran by formerly convicted persons, collected more than 800,000 signatures needed to qualify the amendment. The measure even garnered celebrity attention — pop star Rihanna urged Floridans to approve the measure. “VOTE YES on Amendment 4 to restore voting rights to folks who have already paid their debt to society,” Rihanna tweeted. Andrew Gillum, the Democratic candidate who has conceded in Florida’s gubernatorial race, supported the measure while his opponent, Republican Ron DeSantis, opposed it. 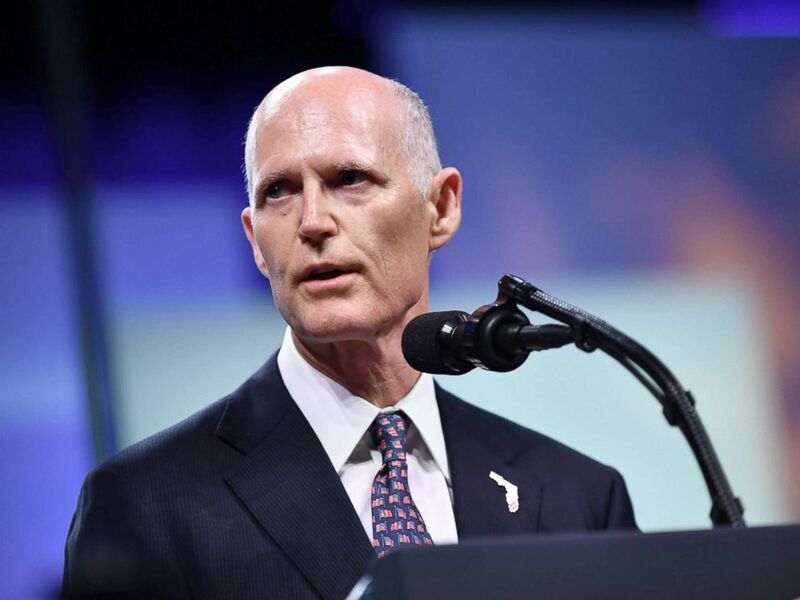 Florida Governor Rick Scott addresses the Chiefs of Police (IACP) annual convention at the Orange County Convention Center in Orlando, Fla., Oct. 8, 2018. Activits took to social media after the win to laud the voters, and the amendment. “A HUGE and hard fought victory. One of the most important of our lifetime,” social activist Shaun King tweeted. Others celebrated the long-awaited victory, which could shift Florida’s future political climate. Amendment 4 will radically change the Florida electorate. A lot of junk amendments this year. But this one will lead to increased democracy and fairness, rooted in the principle of restorative justice.